The dolls I was hoping were updates of Tutti® and Todd® are actually called Max® and Marie®. 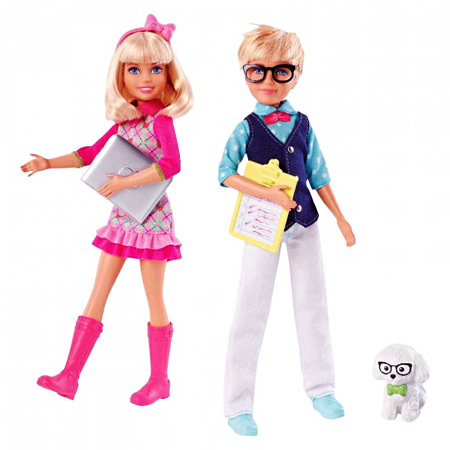 I was really hoping these adorable twin dolls from the upcoming movie Barbie and her Sisters in a Pony Tale were going to be Barbie®'s twin sister and brother from the 1960s, Tutti® and Todd® . However, it turns out their names are actually Max™ and Marie™. Celebrate with a big fat sale at Toys 'R' Us! At long last, it's time to wish Ken® a happy 50th birthday. Technically it's two days early - his actual "birthday" is March 13, but this year the 13th is a Sunday so it's been "pushed back" to the more marketing-friendly Friday-the-11th. (Otherwise you'd just be hearing about it on Meet the Press .) 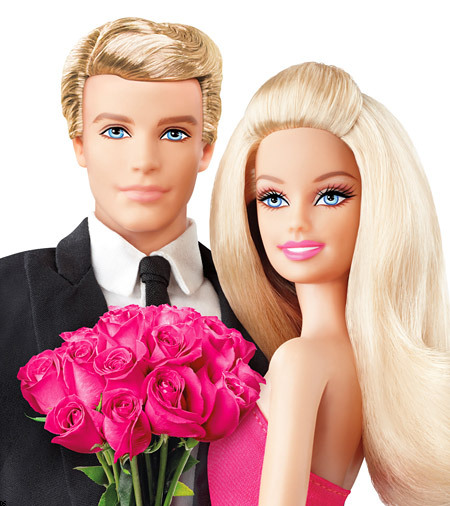 Of course, it's also a good time to wish Barbie® a happy belated-birthday. Laura wrote and asked for suggestions on overcoming the 2009 Harley Davidson® Barbie® doll's unfortunate lack of arm posability. And you can have them super-cheap. 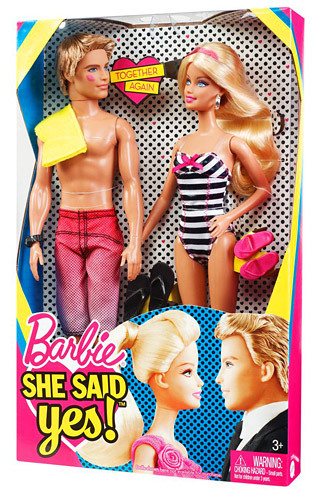 I'm sure you know the story - Barbie® and Ken® "broke up" in 2004, and now Ken's trying to "win her back" by "commissioning" custom-designed cupcakes and "taking out ads" on billboards. (You can read more about it here .) You can even visit this website to "vote" on whether or not Barbie should "take him back".